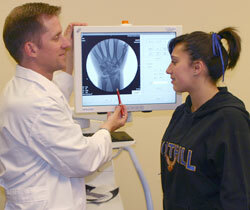 ​We want to understand you, so that we can do our best to get you back into good health and activity. ​to have your best Doctor visit ever. Try to remember the story- when did it start, how did it start. The quicker you get those details out in the open, the quicker we can help you get to a diagnosis and to a solution. Be honest so we can understand what happened. You can count on us asking a bunch of questions so we can figure out what the problem is. Questions like: Where does it hurt? What does it feel like? What things make the problem come on? What things give you some relief/make it feel better? How often does it bother you? Have you ever had an injury or problem like this in the past? If you think about these questions beforehand, it will be easier to explain it to us. If you have a lower extremity problem of the hip, knee, ankle, etc., bring a pair of athletic shorts so we can easily examine the body part. We do have some disposable shorts if you don’t remember. 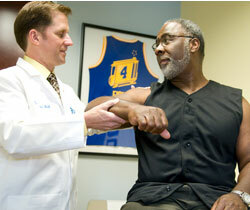 If it´s a shoulder problem, you can bring a tank top, or we have some button-up sleeveless jerseys for your use. Don’t be afraid to ask questions! In each exam room, we have a pad of paper that says at the top "My questions for Dr. Bell are…" It is easier to remember your questions and concerns if you write them down.